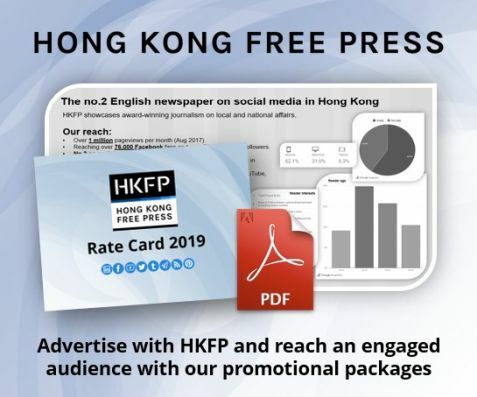 Hong Kong’s three chief executive candidates shared a stage during Sunday’s televised debate for the final time before the small-circle election. The candidates answered questions from 507 electors in attendance. 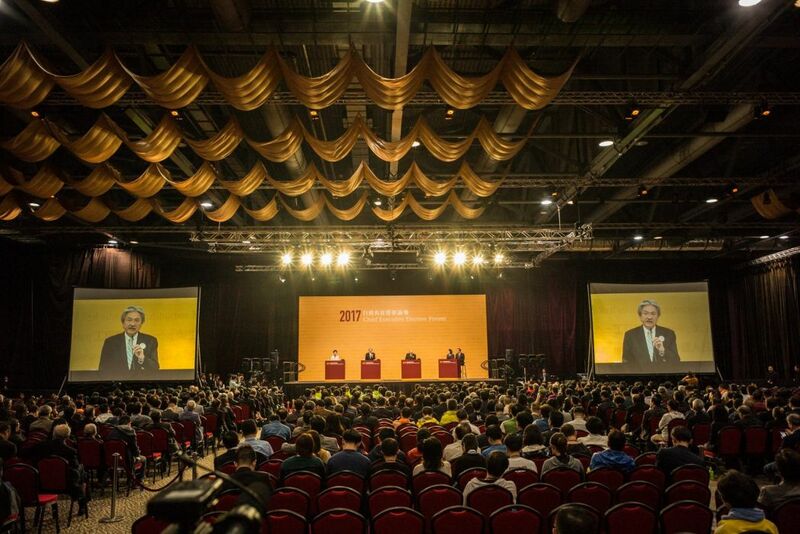 A group of 1,194 electors are set to choose Hong Kong’s next leader this Sunday. 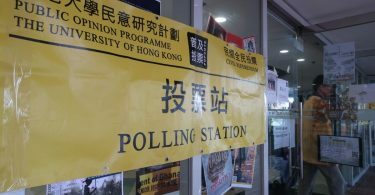 All but two of the 21 questions, selected at random from 189 submissions, were from pro-democracy camp electors. 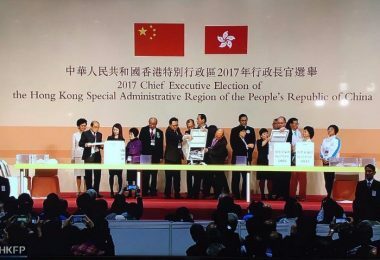 Most were directed at front-runner Carrie Lam. 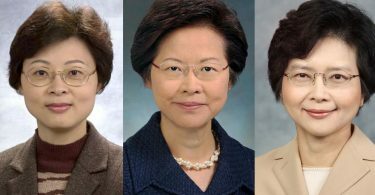 John Tsang, Carrie Lam, Woo Kwok-hing. Photo: Facebook/RTHK screenshot. 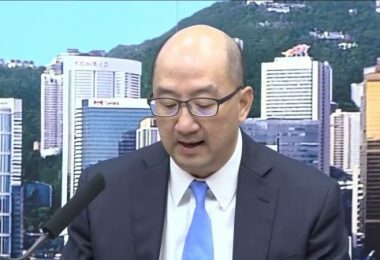 Simon Wong Kit-Lung, a catering sector sector who supports Lam, asked former officials Tsang and Lam to speak about occasions when they had appreciated each other’s work as old colleagues. 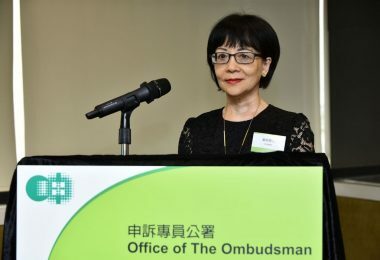 Lam, however, turned to sarcasm and recalled an experience when she was development secretary, a position under Tsang, who was the then-finance secretary. Bruce Lui Ping-kuen, a former journalist and now a pro-democracy higher education sector elector, shared a photo of Chinese President Xi Jinping’s desk during the debate. He said Xi’s desk was also very clean and paperless, because the efficiency was high. 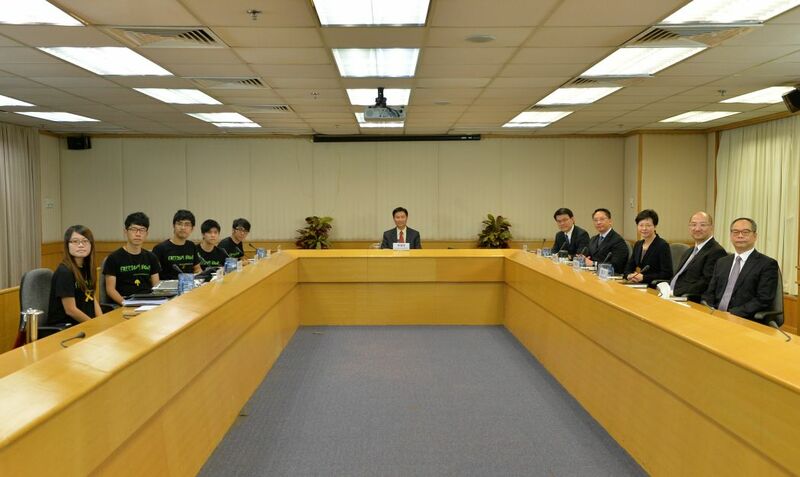 Under the post, hundreds of people shared photos of desks belonging to different people, including Hong Kong’s richest man Li Ka-shing, former US president Obama, Apple Inc. chief Tim Cook, and Lam’s former boss Chief Executive Leung Chun-ying – all of whom have clear desks. Lam was asked what happened to the multi-party communication platform she had promised, when she met student leaders during the 2014 occupy pro-democracy protests. 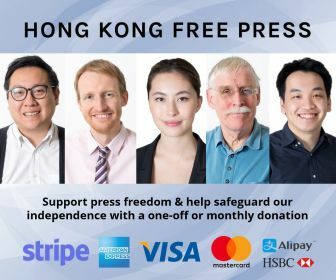 Lam, in reply, said she did intend to produce a report through the proposed platform to help bring the protests to a rapid conclusion, but did not directly answer as to why it was not done. “I am afraid you know better than I what happened later,” she said. “I believe over the past few years, people know what it means to twist one’s words to someone’s advantage, we will not be tricked anymore,” he said. Lam also claimed, without naming Tsang, that he was not willing to visit local districts when he was an official. 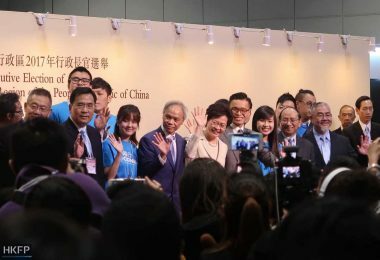 Lam was criticised for not visiting Tin Shui Wai’s markets saying she was tired and it was far away. She apologised again at the debate saying it was a planning mistake. 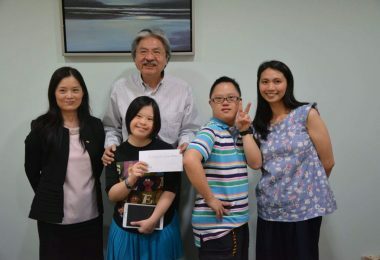 Tsang said Tin Shui Wai was not very far away: “It is only 30 minutes from Wan Chai [Lam’s office].” Tsang added he has been there to speak with residents over the difficulties they face without a street market. The debate. 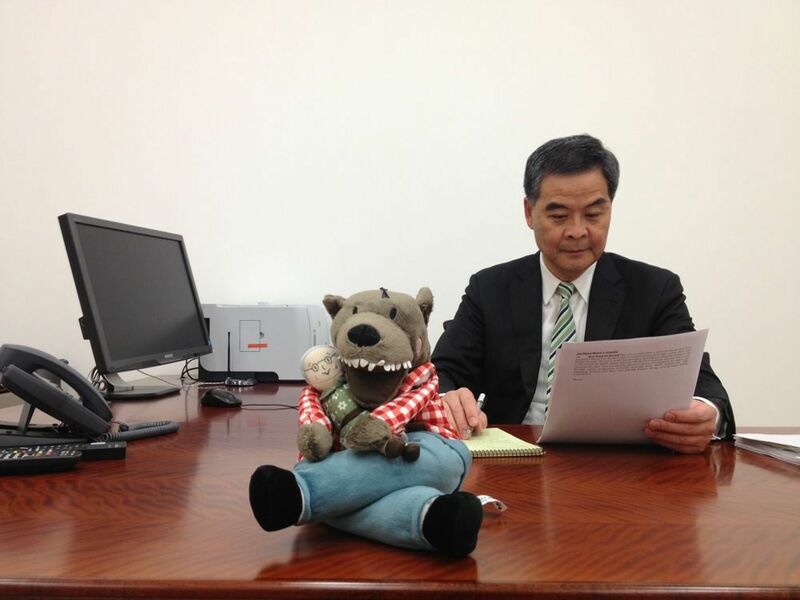 Photo: Facebook/John Tsang. 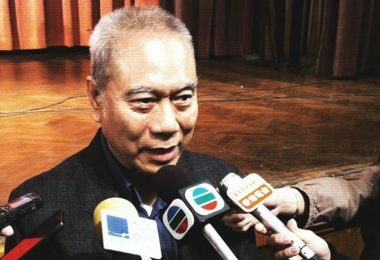 Woo criticised both Tsang and Lam for passing the buck as government officials. “Hong Kong’s problem is not that it doesn’t have money, but that the person in power does not have a heart,” he said.